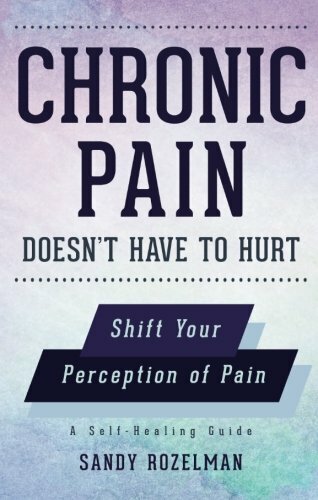 At a time when there are numerous books and magazine articles on pain management, diet and nutrition, exercise, and changing your lifestyle, Sandy Rozelman has put together a book incorporating all of these topics and more as they relate to chronic pain. As a person who has had to endure chronic pain for many years, Sandy has researched methods to empower herself and has compiled them into one book. All that she shares, she has applied to the management of her own chronic pain. If you are experiencing chronic pain and are looking for alternatives to conventional medicine, "Chronic Pain Doesn't Have to Hurt" has arrived just in time to guide you down a gentle path of self-healing. Sandy offers easy-to-use suggestions in an easy-to-understand format, knowing that when you are experiencing pain, the last thing you want to do is spend hours reading books on how to feel better.